i got 2 " MY Kampung WG Chicken Noodle", i am unable to find where is this place, no where on google!.... anyone knows? Couldn't figure it out too. First time heard about that name. Called HPB, was informed the restaurant is located at Yishun as per their record. Will forfeit, don't think I will go to Yislum for redemption. 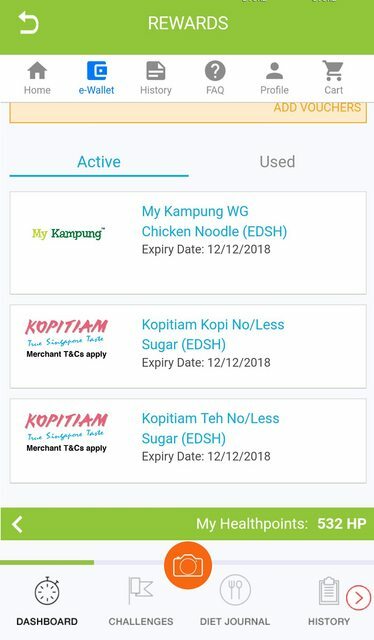 I fb pm My Kampung earlier and they mentioned that can redeem at all their outlets.